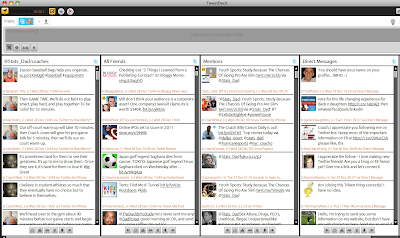 content to attract an audience to your blog, well the same olds true for Twitter. Good consistent content is what will attract an active Twitter following. Content can be original or it can be curated from other sources. appear on your browser just to the left of the field that shows the URL. Every time you read something interesting or watch a cool video online you can click the buffer icon on your browser. 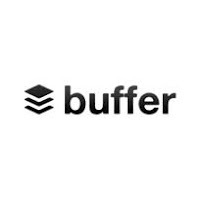 This will automatically create a Tweet about the post or video and put the tweet with a link to the content in your buffer to be tweeted out on the schedule you selected when you set up the account. This is a very good way to curate and share content on the subject that you want to become an authority on. If you curate or create good content consistently and Tweet it out, you will eventually attract hundreds and maybe thousands of followers. 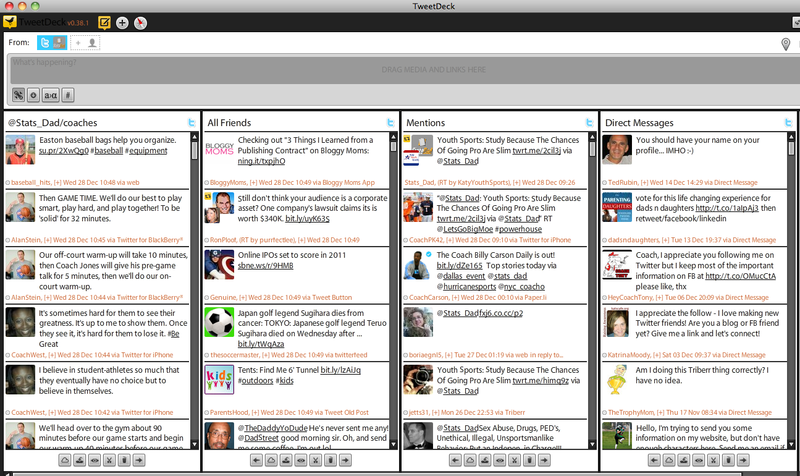 Each twitter follow is a potential reader of your blog. So every time you tweet about your latest blog post you are advertising that post to your 1,000 or so followers. That's great, but wouldn't be better to broadcast a message with a link to your blog post to 100,000 or even a million followers. You can achieve that with Tribber, the Reach Multiplier. Tribber is a free service that helps like-minded people join forces to promote each other's blogs. I joined a Social Dads tribe and a Youth Sports Parents Tribe. Then I formed my own tribe of Youth Sports Coaches. As mentioned above, I have about 1,000 Twitter followers, but my three tribes have a combined 194,000 followers. 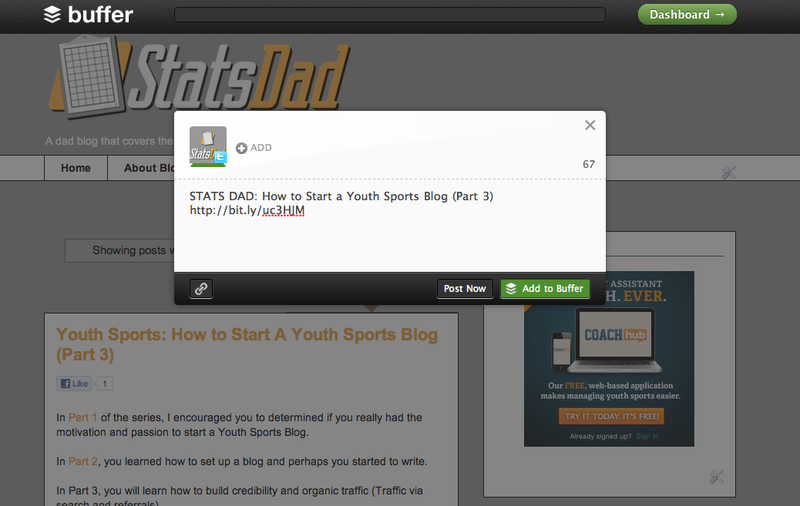 So when I post a new entry into my blog, nearly 200,000 people are notified. First, you need to be invited to a tribe. Triberr is an invite only club, but all you need is a simple invite. You can request an invite to a specific tribe by reaching out to the tribe chief or you can post a message on the general message board expressing your interest in joining a tribe. Criteria for getting an invite are typically the number of followers you have and your topic area(s). Each tribe is limited in membership size, so tribes can be somewhat selective. I would wait until you have at least 250-500 Twitter followers before you try to join a tribe. When you get your invite you will set up your free account and list the RSS feed to your blog. Then every time you create and publish a new blog post, a message is automatically sent to each of the members of the tribe. The tribe members can take several actions. 1) read your post, 2) approve the post and tweet out your blog post with a link to their followers, 2) give the post a thumbs up or down, 3) Submit the post to other social media outlets - Stumble Upon, Facebook, Google+ etc. Note: Be prepared, you will also need to do the three actions above to be an active member of the tribe because you can be kicked out of the tribe to make room for someone who is more active. Note: Tribber used to allow a tribe members to automatically approve and send out tweets from any or all other members. Complaints from Twitter about Tribber spam put a halt to this feature. Now all tribe members need to approve each post in the tribal stream manually. I do this once per day in the morning and Tribber sends out the posts every hour or so (you can set the intervals) until all the approved posts are sent. 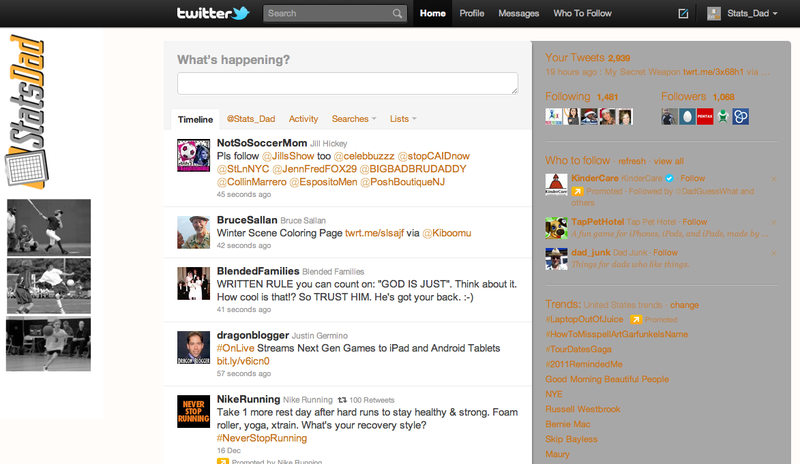 Twitter can be a powerful tool to build and audience. Traffic to my website exploded after I started doing using Twitter. I started using Twitter in March when I had 7,000 Pageviews per month on my site. I added Buffer and Triberr in June. 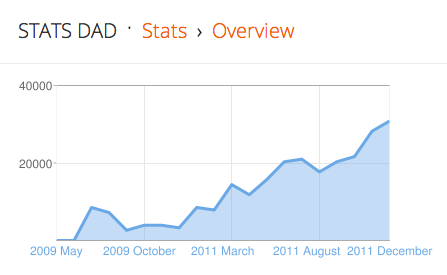 I will close out December with 31,000 pageviews per month. Twitter works but you need to be diligent and patient. I'd like to invite you to review the most unique product for child athletes and their parents. Nothing gets a child more excited then watching themselves on a TV show. Until WESPN-TV.com came along kids could only dream of being on TV like their favorite athlete. 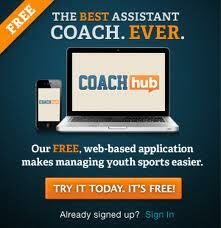 WESPN-TV.com will create a Personal TV Sports show of your child athlete in action. We take those unorganized, boring videos that parents have taken of their children playing sports. We write an exciting, upbeat script around the highlights. We shoot the TV Sportscast in our studio using news anchors, producers and camera professionals - just like a real TV news show. The result is a beautifully packaged and exciting TV Show on DVD that parents and kids can enjoy forever. It's fun and exciting to watch your child athlete "on the TV news" on your big screen TV! And we produce these show at a price every parent can afford! Every parent and child will love watching their show over and over again for years to come.